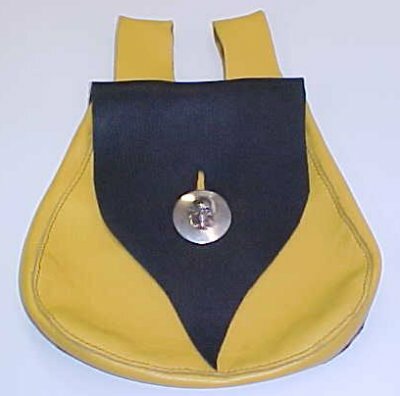 This is a Gallery of Custom Orders and Special Items made by Bob. 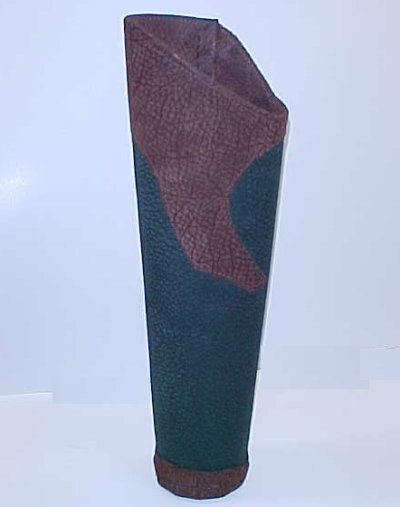 If you have something you would like to have but do not see, please send us an email at bob@whitewoodleather.com and tell Bob what you'd like. He'll contact you with a quote and an estimated delivery time. 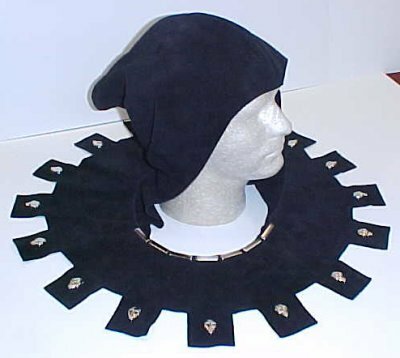 Skull Spot Castle Cut Hood This Hood is a Halloween Special, it has a short tail with the Castle Cut Mantle and lots of Skull spots. 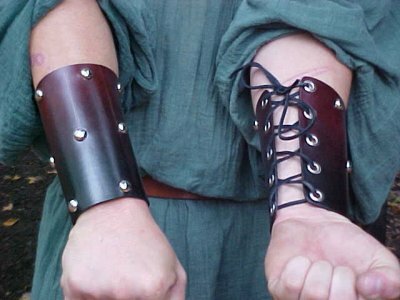 Leather Fadeaway Vambraces These are leather vambraces with one color fading into a second. 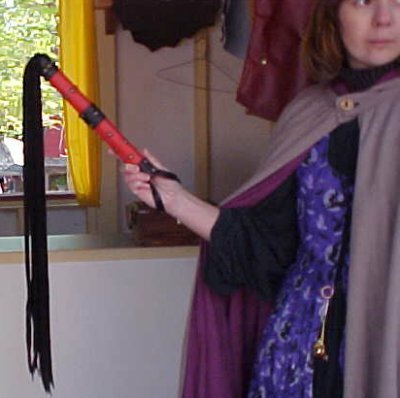 Leather Flog with Thirteen Tails This is a leather flog with thirteen tails. 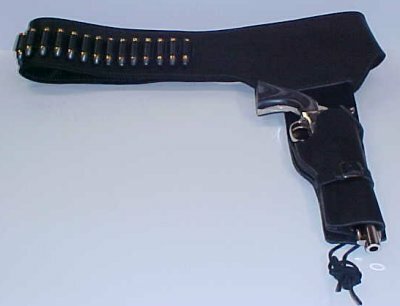 Wild West Gun Belt This is a heavy duty gun belt with loops for spare bullets. Large Pouch w/ Gusset and Sterling Silver Skull Button This is my personal pouch. 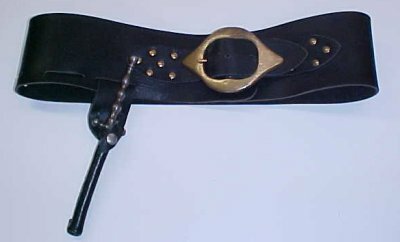 This is a Wide 4 inch Belt w/ slots for Accessories, as my Dagger for Example! This is my personal Belt. 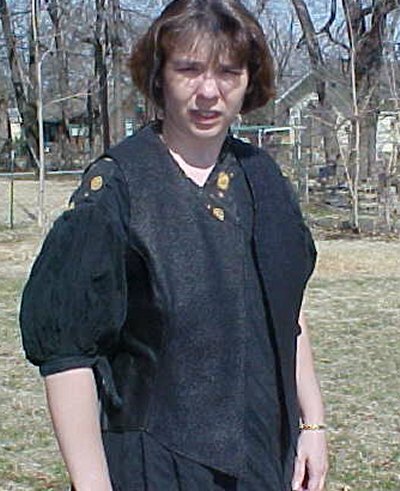 Fancy Woman's Fitted Vest This is Made from a Specialty Leather (Flower look)on Front and on Top of Back with Finshed Leather on Sides and Bottom of Back.Inside is Lined with Cloth on Sides and Back with Leather lining on Front. 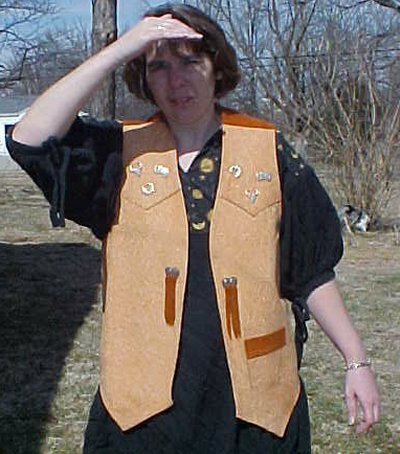 Southwestern Vest This Vest is Made from a Specialty Leather for Men or Women Who want the Great Southwestern Look.